Moments, Money & Memories is a collection of sensitive, personal and highly socially conscious verse. It shies away from traditional flowery language and instead derives its depth and height from directness and grounding in verse all readers can relate to. It speaks of parenthood, poverty, the working poor and personal struggles. 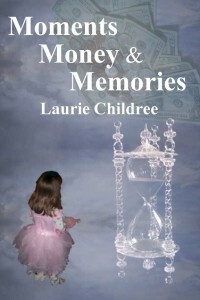 Laurie Childree is an intelligent and direct poet, unafraid of offending the sensibilities of people far more privileged than those whom she writes about. Instead, she invites all readers to have a glimpse into the real lives of struggling heroes; with the same love for family, for gainful employment, and for a bit of pleasure, which goes a long way. This wonderful book elevates the benign everyday happenstance into a meaningful and thoughtful journey from the creative mind of this lovely, enlightened poet.